Ships from and sold by easyday aus. 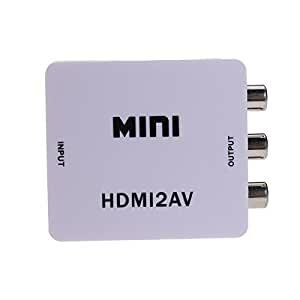 This HDMI to composite A/V converter will give a standard Y/R/W RCA connection from any HDMI signal. Ideal for feeding a set top box or media device into an existing A/V distribution system for clubs or business, it is also useful for situations where you have existing A/V cables and no need to upgrade to a full HDMI signal path. Power supply included (USB cable).